"Grenade" is a song performed by American singer-songwriter and producer Bruno Mars from his debut studio album Doo-Wops & Hooligans. Initially released as a promotional single on September 28, 2010, it was later announced to be the album's second single. The first track from the album, it was written by Mars along with his production team The Smeezingtons with Brody Brown, Claude Kelly, and Andrew Wyatt. Critical reception has been mostly positive, with reviewers praising the vocals and emotional lyrics of the heartbreak song. It has peaked at number one in Australia, Canada, Ireland, New Zealand, Poland, the United Kingdom, and on the Billboard Hot 100, becoming his third number-one single in both the United States and the United Kingdom. A music video was released in mid-November 2010. 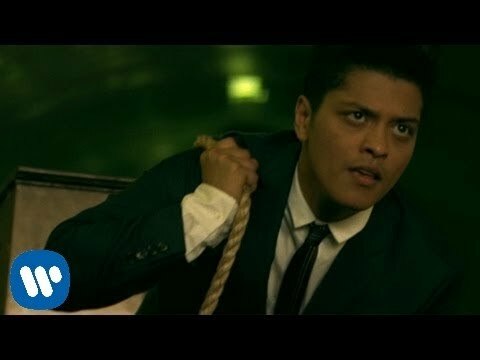 "Grenade" was nominated for three Grammy Awards, including for Record of the Year, Song of the Year, and the newly-introduced Best Pop Solo Performance, losing all of them to British singer Adele.